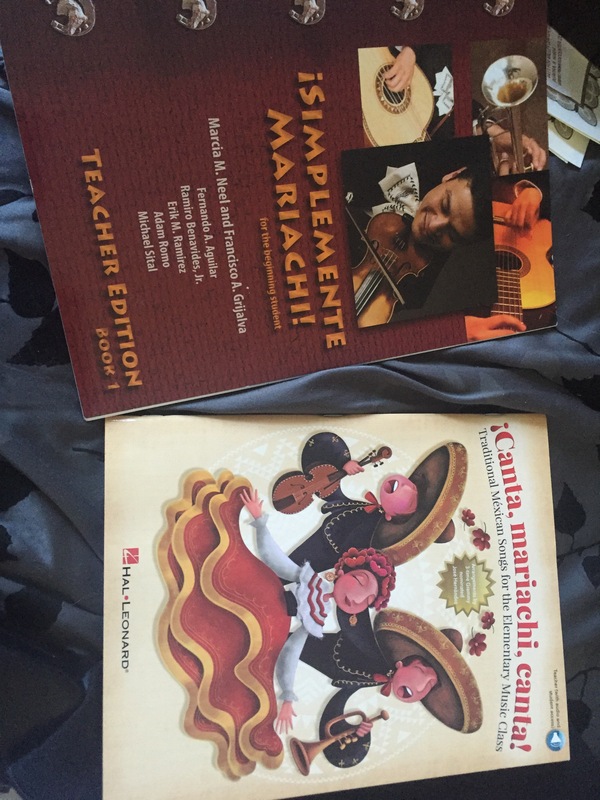 Canta mariachi canta is the new curriculum I will use to teach my students. I have yet to specifically figure out what grade levels or how I will completely implement my program, but I will begin to purchase some of our new instruments soon. 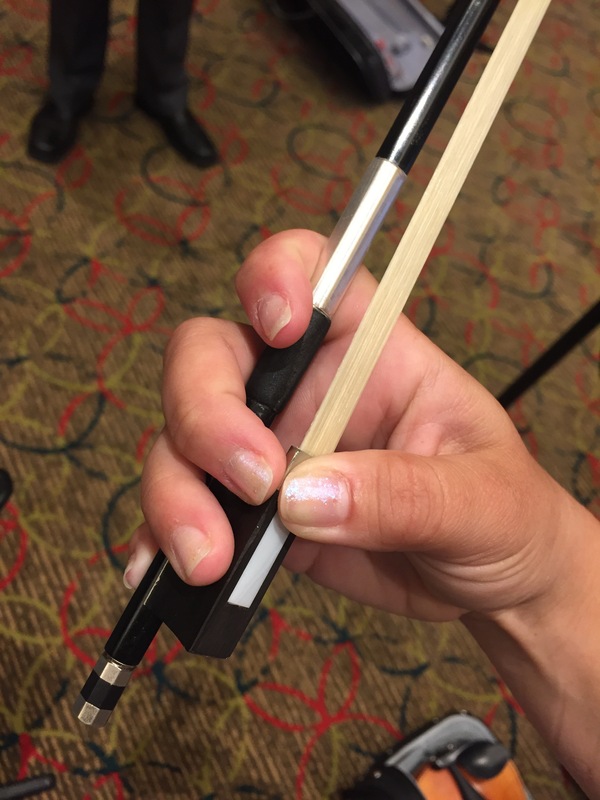 This will be the fun part of implementation because I am so excited about learning about these new instruments and I know my students will be too. My trip was amazing, it’s like a fellowship that just keeps giving. I feel like I will be on my jeouney as a new mariachi teacher for the rest of my career. I had great teachers and great connections with so many amazing educators I know I now have the tools for success! Today was the end of the “main” portion of the 10th anniversary national mariachi conference. 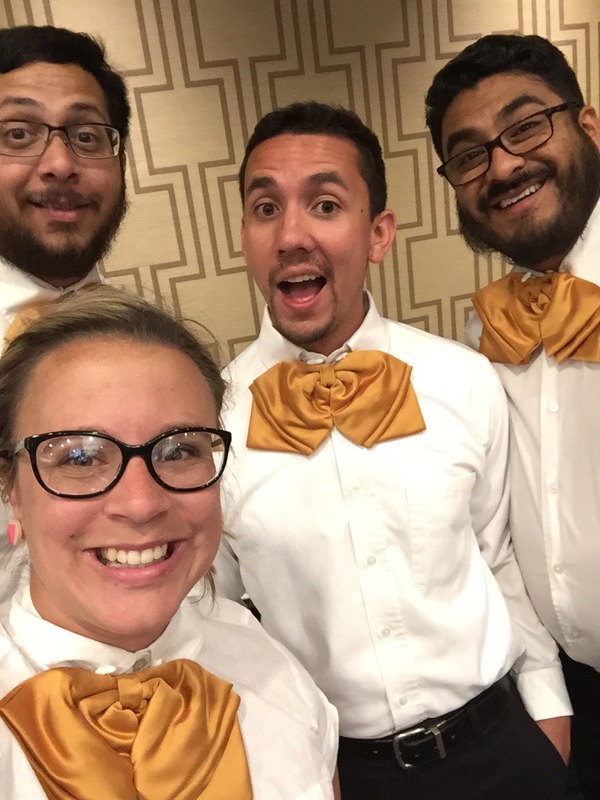 We had a final exam of playing in an actual mariachi ensemble. I cannot begin to tell you how great of a real life experience that was for me. Not only did I put myself in my students shoes, but I got to perform music at an advanced level. 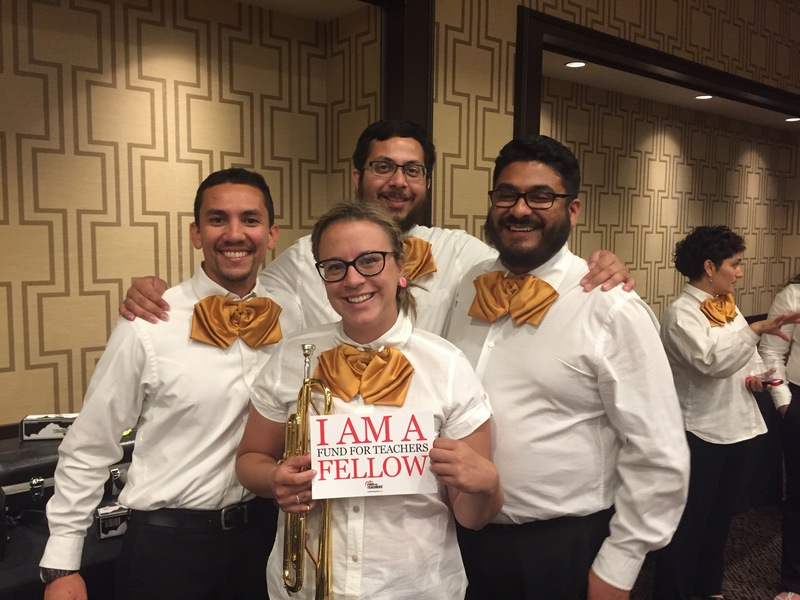 We looked and sounded like an authentic mariachi group. Not only did we perform, but we heard performances by the intermediate and advanced groups as well. Sol de mariachi came and surprised us with a another amazing performance and demo on showmanship this morning. I was literally in tears at their performance and thinking about how amazing it is going to be to bring this type of a group to my school community. This is what my families grew up listening to, and now I know how to teach it to their children. Can you think of a better fellowship? So amazing. More tomorrow for the elementary curriculum series I will take a day class for! 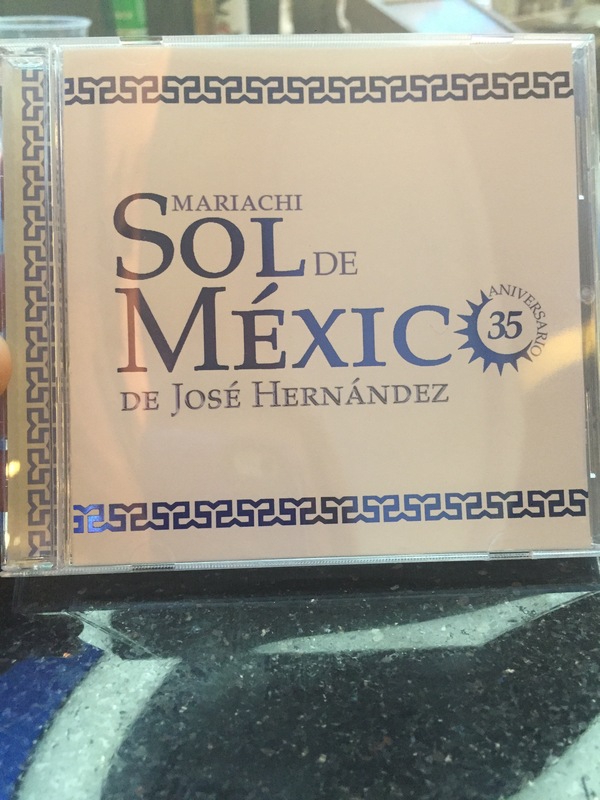 Okay so this binder I received has tons of songs for mariachi ensembles..on day two I learned how to play guitar and guitarron (which I will be buying as part of my fellowship) to basically every song in the book. My pinky fingers are freakishly small and it was really tough to play guitarron. I will place that in an individual’s hand that is much larger than mine. Today however I played vihuela which I will be buying a few more than I anticipated. These are great! I can play them so much easier! 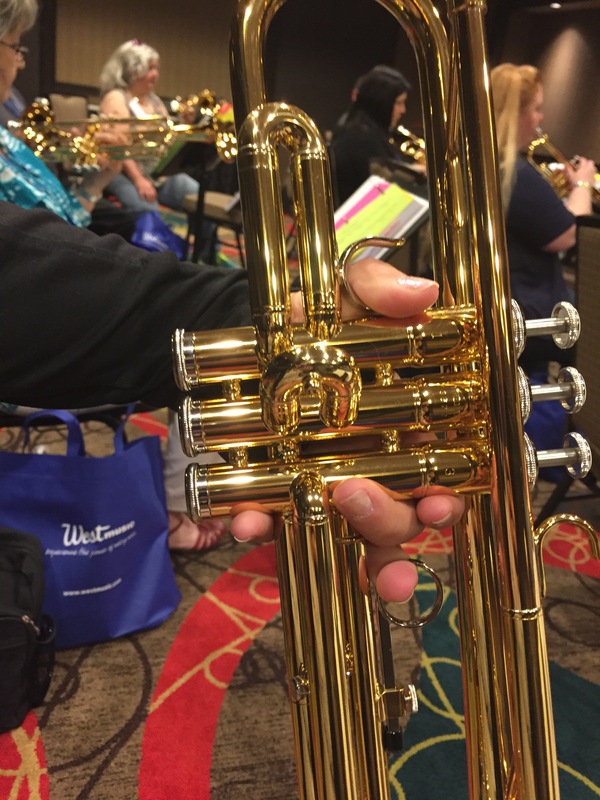 We went through the entire method again on the third rotation of instruments. I was elated with ease in playing this instrument. 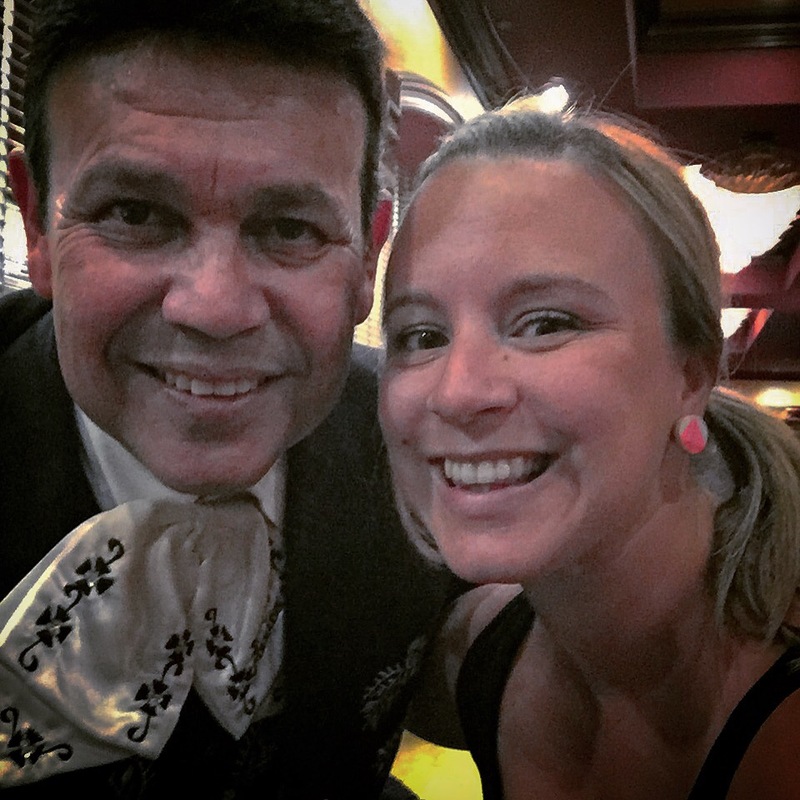 Today we also had the pleasure of instruction from Jose Hernandez who is an acclaimed mariachi performer and now my teacher! He taught us on our primary instruments today for our performance on Friday. The other teachers main instruments in college where at least one of what everyone plays—mine is oboe. 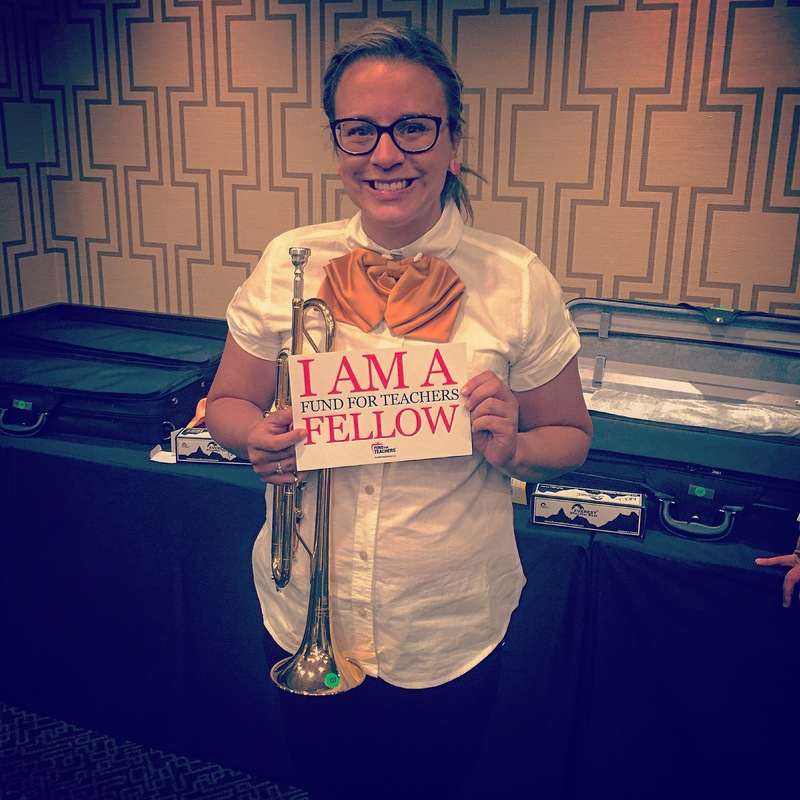 So I had to play trumpet (it was super hard) like all the professionally trained teachers for this amazing teacher. Talk about nervous! We ended our day with mariachi implementation today. I know that Saturday’s elementary specific curriculum we will receive will give me many more ideas—but I am really giving it serious thought on how Twain will do mariachi. This fellowship has been super amazing, I mean I did get to go zoom line on my own time, but I am in 7 hours of classes everyday. I am one giant sponge, I can’t wait to bring it all home and share! Whoa! 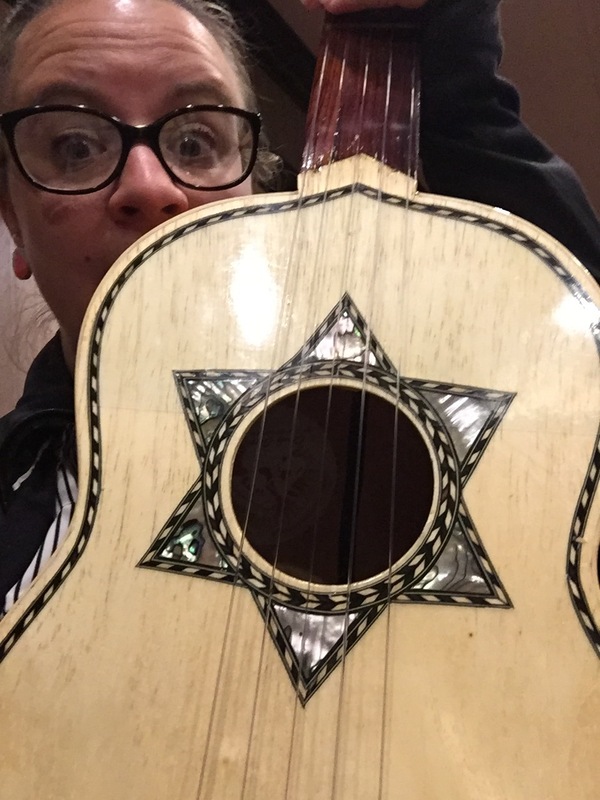 Today I learned to play vihuela and guitarron for the first time! It was amazing! I got so much information to bring back to start mariachi at school and it’s only day one! 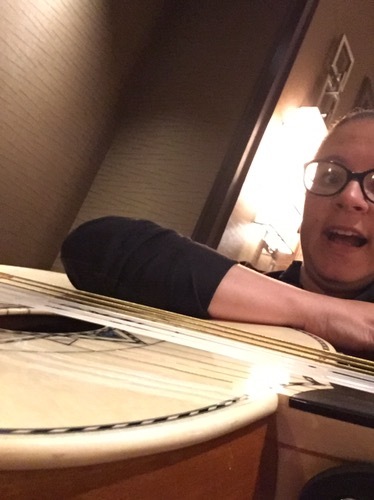 My little baby hands had a tough time with violin and guitarron but it was great to know what my kids will feel like because they have hands as small as mine. 5 more days of learning ahead and I can’t wait! I am off! On the train to the airport to start my journey to Las Vegas for the National Conference for Mariachi Educators! I am so excited to be learning a whole new genre of music that my students care so passionately about. The schedule looks like a jam packed week of learning! More soon…can’t wait!